An interesting article in Automotive World’s fourth-quarter Mobility Magazine focuses on steel producer SSAB’s take on why the steel industry will keep or improve its share of the body-in-white business. The piece, posted separately Wednesday, also explores what might happen to bodies as vehicles grow more electric. Body shops will find some tidbits in the article’s coverage of the views of SSAB global automotive director Arnaud Guerendel. Some of the stats involved might refer to international production tallies, but as OEMs have an incentive to use global platforms for economies of scale, the impact should still be visible on the U.S. fleet. 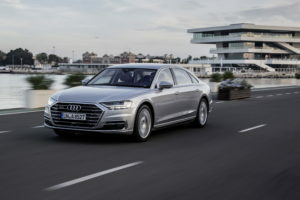 The article mentioned the Audi A8, which Automotive World reported shifted from 92 percent aluminum in the 2009 model year to 58 percent for the 2019 A8. “Aluminium tears more easily than steel, so the sorts of sharp edges, creases and very tight radii that we love to craft in the design studio can sometimes be difficult for the engineering team to create in reality,” notes Wayne Burgess, Production Studio Director at Jaguar. 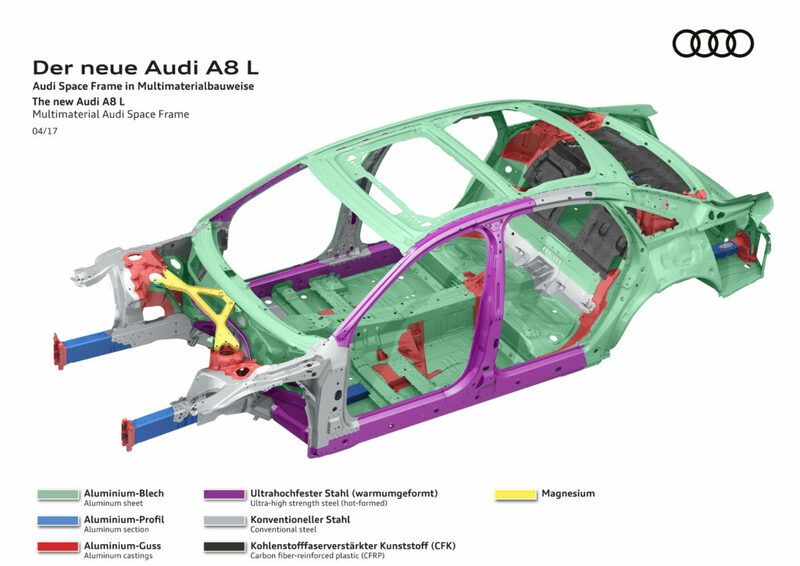 However, Automotive World stressed that you’re probably not going to see completely steel vehicles again, giving the example of a body-in-white being advanced high-strength steel (at least), but aluminum or polymer panels and mixed-material powertrain. From a shop perspective, this would mean you’ll still need dedicated aluminum tools and facilities, as well as the expertise to handle the metal. A good example might be the next-generation 2019 Chevrolet Silverado. General Motors loves to make fun of the Ford F-150’s aluminum, and much of the 2019 truck is indeed steel. However, the hood, doors and tailgate on the popular truck will all be aluminum. Not surprisingly, General Motors will require that its certified shops be equipped to handle aluminum.